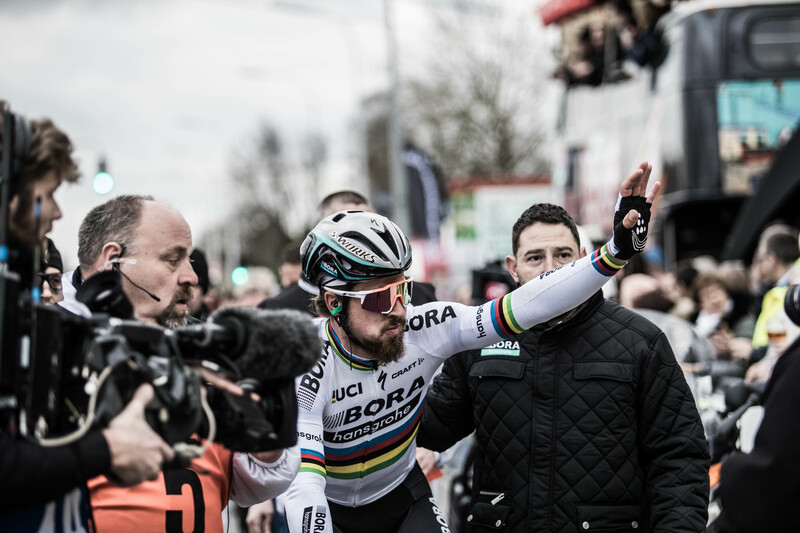 With Swiss superstar Fabian Cancellara retired and perennial rival Tom Boonen also about to end his career, Peter Sagan began 2017 as the natural candidate to be the next king of the spring classics. Slovakia’s two-time defending world champion has proven he can be competitive in all the classics held between late February and early April—but could he step up and become a winner as consistent as Cancellara and Boonen? 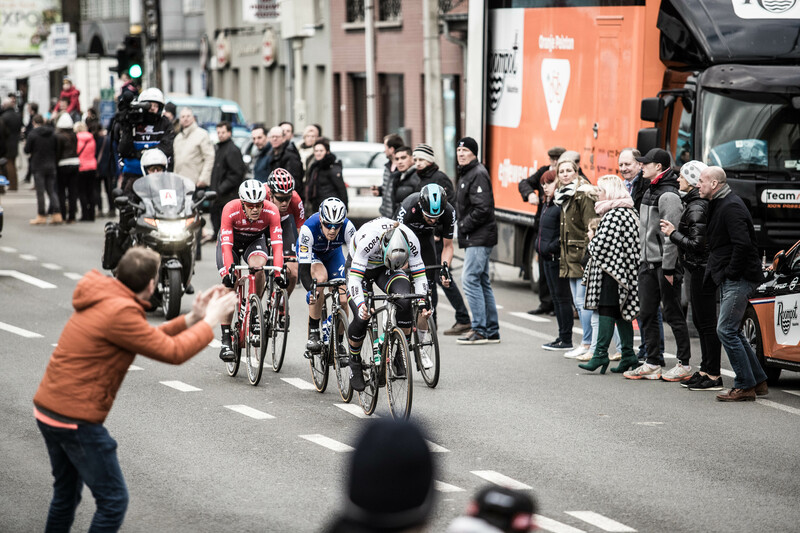 The eyes of the world were on Sagan when the new classics season began at Belgium’s weekend double feature of Omloop Het Nieuwsblad and Kuurne–Brussels–Kuurne. 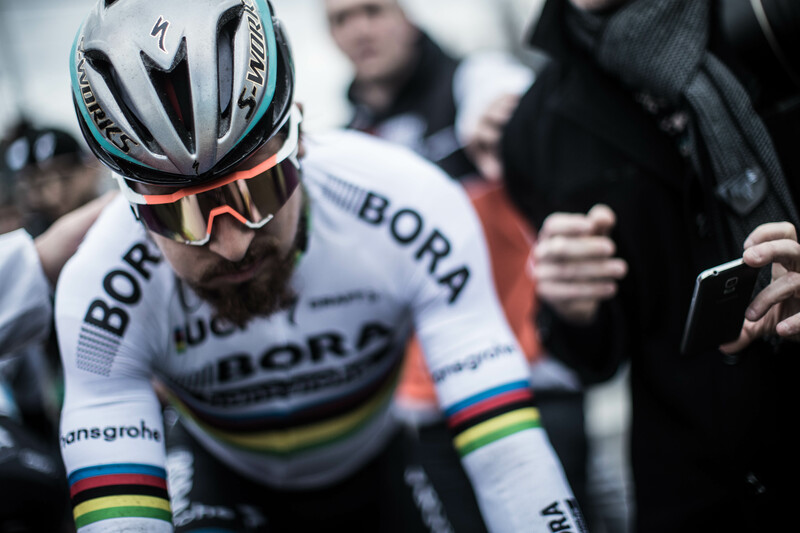 Coming off a weeks-long altitude training camp in Spain, Sagan needed to establish his leadership of a new team, Bora-Hansgrohe, and start to create a new role in the classics. At Het Nieuwsblad, he was impressive but took on too much of the workload in a small breakaway group, and when it came to the final sprint he couldn’t match the leg speed of defending champion Greg Van Avermaet. 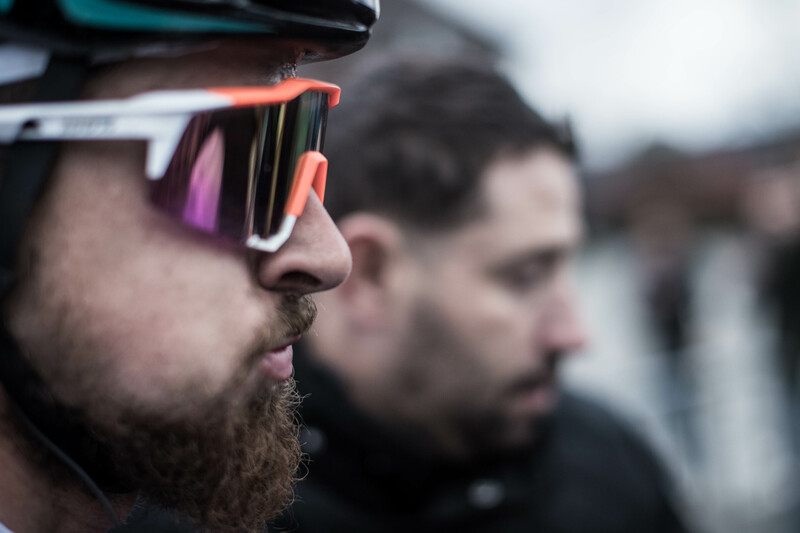 He knew he would have to take a different approach in the next day’s Kuurne–Brussels–Kuurne. This is a race that Boonen won three times (in 2007, 2009 and 2014), while another former world champion, Mark Cavendish, won here in 2012 and 2015, both using strong sprints to take their victories. But it can be a difficult race to read. 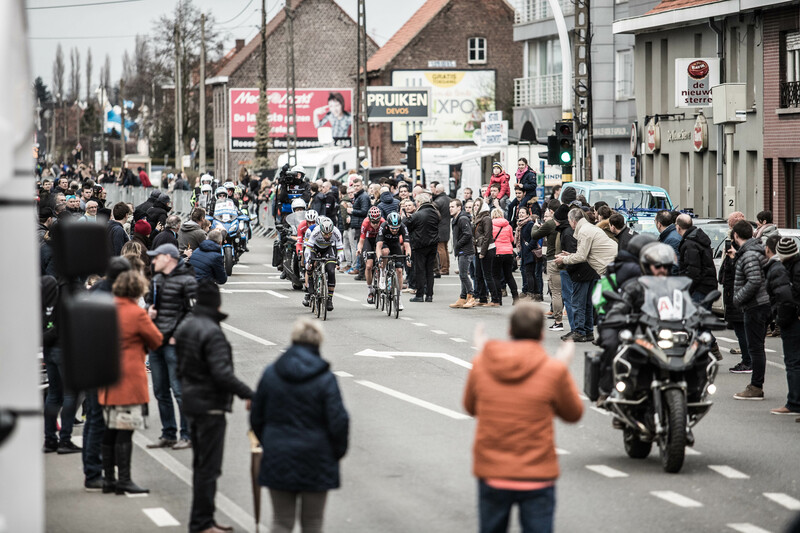 After heading east across the plains of Flanders, almost to Brussels, the Belgian capital, it returns on a hilly route over the region’s famous bergs, to end on a flat finishing circuit in Kuurne, a town near the French border. 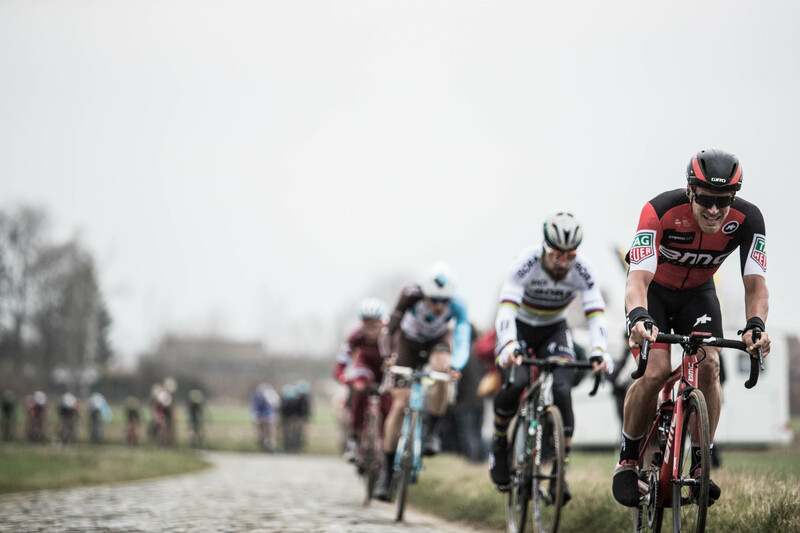 On this overcast Sunday in February, the decisive move began on the infamous cobblestone climb of the Oude Kwaremont, with two hours still to race. Sagan eased himself into a group of 20-or-so riders that split from the peloton and then steadily closed on an earlier breakaway. 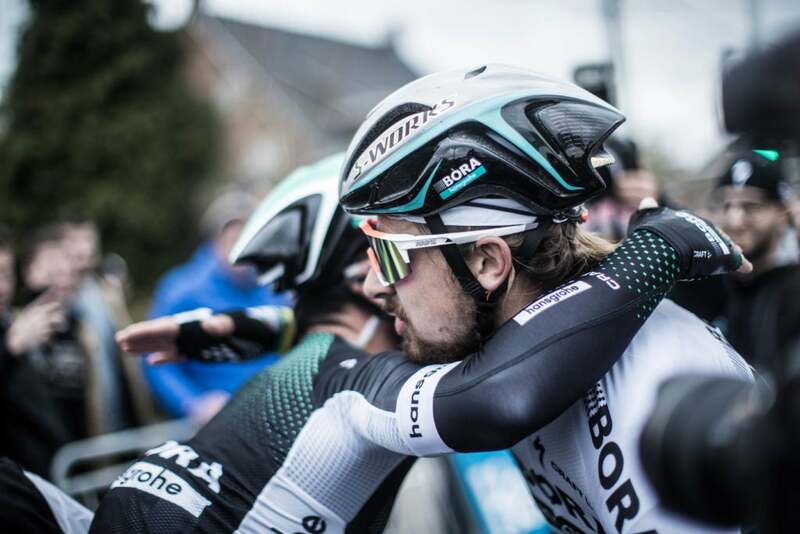 But Sagan had no Bora-Hansgrohe teammates with him, so he would have to race smart against strong contingents from Belgium’s powerful Quick-Step Floors team and Van Avermaet’s BMC Racing squad. Such is Sagan’s confidence in his finishing speed he said he’d have been comfortable waiting for a bunch sprint—despite having no one to lead him out. 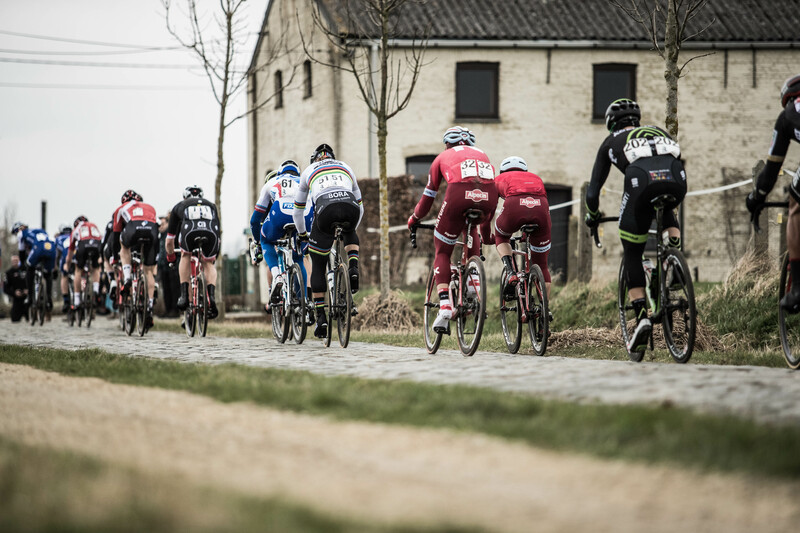 But shortly after the group reached Kuurne, with two laps of the 15-kilometer street circuit to go, he had to change plans. Defending race champion Jasper Stuyven of Trek-Segafredo accelerated clear in similar fashion to his winning solo attack a year before. 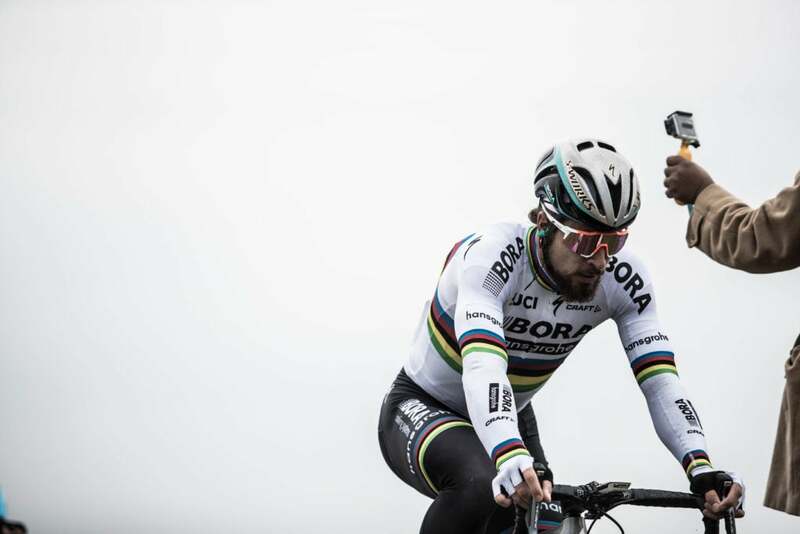 This time, when the Belgian was almost 10 seconds clear, the “new” Sagan asserted himself. 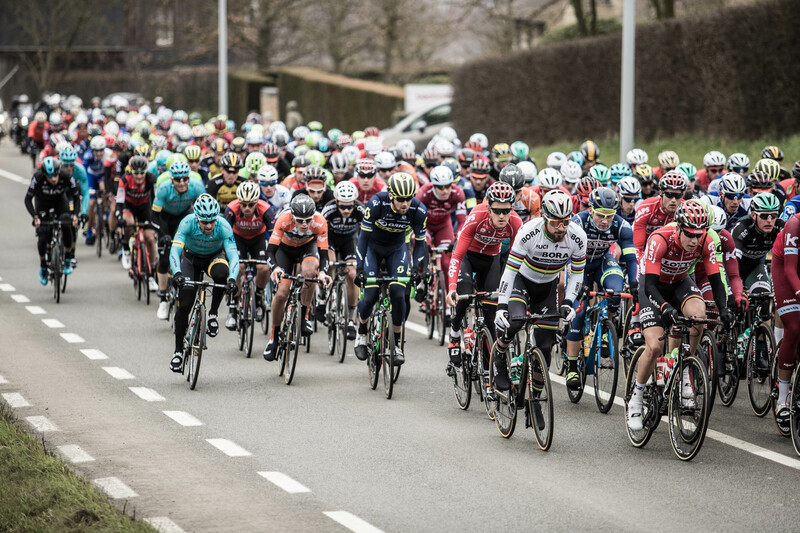 With Quick-Step’s Matteo Trentin on his wheel, Sagan bolted clear to catch Stuyven, and was then pleased to see Lotto-Soudal’s Tiesj Benoot and Team Sky’s Luke Rowe come across to them. 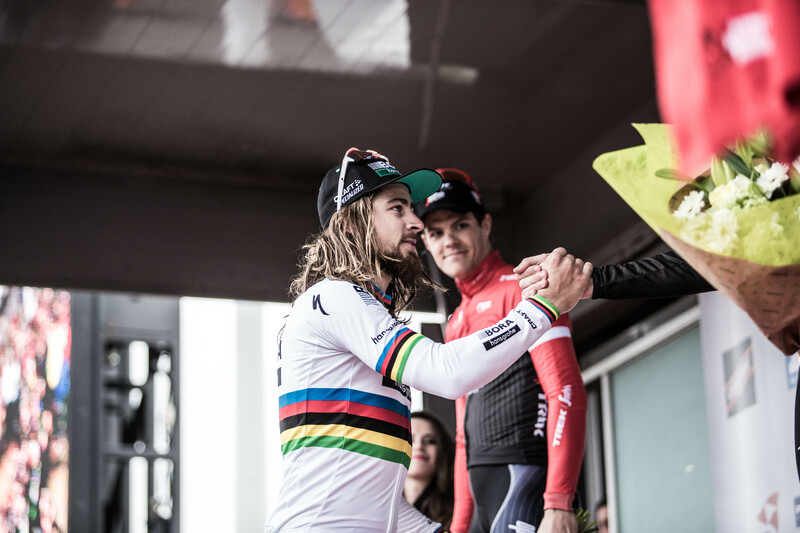 Sagan knew that the four men with him, from four different teams, would all ride hard, because danger man Van Avermaet and his BMC team had missed the move. Halfway around the final lap, the five were 45 seconds clear—enough of a gap to ensure that one of them would win. They stayed together until the final kilometer, when Trentin, chased by Rowe, put in a strong attack. 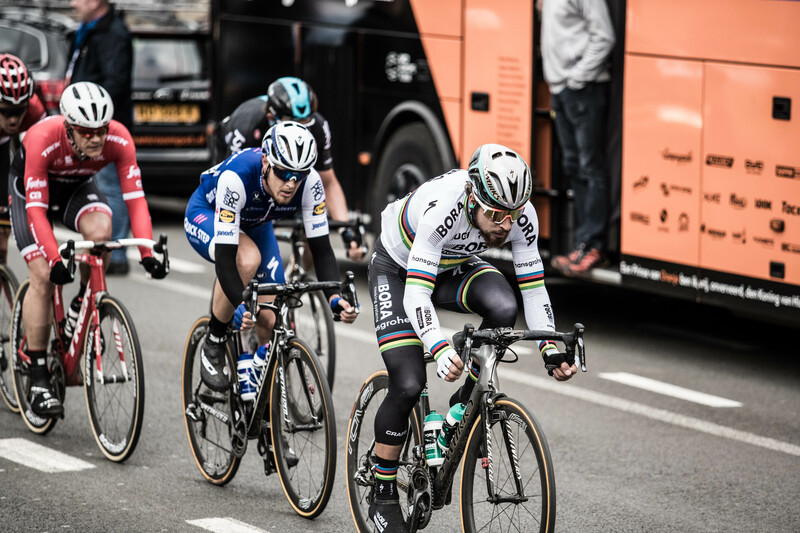 But Sagan was quick to respond and the five slowed before preparing their final efforts. In the end, with 250 meters to go, Sagan jumped from behind in commanding style, and accelerated so fast that he immediately had a winning margin. “I’m happy for this victory,” he said, “for me…also for the team.” The new Sagan had made an impressive start to a new campaign.